Elizabeth F. Shores, MAPh, is the associate director for research, communications, and national initiatives of the Early Childhood Institute at Mississippi State University. Elizabeth was the editor of the journal Dimensions of Early Childhood and director of publications for the Southern Early Childhood Association (SECA) from 1990 to 1995. She also has published articles, book chapters, and monographs on the early history of developmental disabilities services in Arkansas, monographs on K-12 reform and child welfare reform in Arkansas, social studies curricula, and articles in various parenting publications. Elizabeth Shores lives in Little Rock, Arkansas. "These companion books, based on hard-learned lessons from the Katrina disaster, should be read by all entrusted with the physical and emotional well-being of our youngest and most vulnerable children." "This is an absolute must for anyone who cared for children. This resource very precisely spells out all the measures that need to be takes into consideration for being proactive as well as dealing with the aftermath of a crisis. The forms in the last chapter make it easier to be well prepared to handle any disaster in an organized and efficient manner." "Being prepared could not be more important! Katrina, Wildfires, tornadoes, and the BP oil spill have taught us this. … Calm, relaxed, prepared staff are essential!" "This book is a "must" for every administrator of a child care program." Q: Your experiences after Hurricane Katrina inspired you to write both Preparing for Disaster and After the Crisis. What did you see in the area affected by the hurricane that made you want to create these two books? A: Many providers had never had financial resources or the know-how to reduce their vulnerability to minor disasters, much less a catastrophe the size of Katrina. We hope to see systemic changes that will help the early childhood sector reduce its vulnerability, but we also wanted to empower individual providers to take practical steps. Q: Why is it important that teachers and caregivers know how to help children cope after a traumatic experience? How much of a role should educators take in children’s healing process? A: Diagnosing and treating genuine stress disorder is a job for experienced early childhood mental health specialists, but teachers, like parents, can do a great deal to support children who are struggling to cope with memories of trauma and anxiety about the future. Teachers need to know the signs of possible stress disorder; they need to make parents aware of their concerns about the children; they need a system for working with parents to refer children to appropriate specialists for assessment; and they need to provide a predictable, secure, comforting, affectionate environment in the classroom. Q: What are the three most important things an early childhood director must do to prepare their program for disaster? Q: Why is disaster preparedness so important to all programs, not just those in areas that are often affected by natural disasters? A: Technological disasters, such as chemical spills, levee and building collapses, and radioactive incidents, can occur anywhere. Q: What lessons can be learned from the early childhood sector in the area that was affected by Katrina? How can that area, and others around the country, learn from the experience of the hurricane? A: It should be clear that the Gulf Coast region underestimated the risk of levees collapsing in New Orleans and that recovery from that aspect of the Katrina disaster has taken the longest. Real vulnerability analysis for the early childhood sector needs to encompass many factors including the strength of the physical infrastructure, supports in the form of quality incentives and continuous professional development, and the same local, state and federal funding sources as the traditional K-12 sector. Most importantly, perhaps, parents and policymakers must understand that the early years are crucial not only for cognitive development but for social-emotional development. Everyone who touches the life of a young child should be able to reassure that child that he is safe and his needs will be met – come wind or high water. Q: In your book After the Crisis, you address disasters that can affect children, from floods to homelessness. What kinds of life events can affect children traumatically? Why are storybooks an important tool for helping children cope with trauma? A: Obviously, losing the family home to a fire or foreclosure is a disaster for the members of that family, if not for the entire neighborhood. Losing a beloved friend or relative to death is a terrible loss, whether from natural causes or in a disaster. Excellent children’s literature is the backbone of an appropriate curriculum for infants, toddlers, and preschoolers. Teachers (and parents) who know how to share good books with children can use the scenes and events in the stories as springboards for talking with children about sadness, fears, and frightening memories. 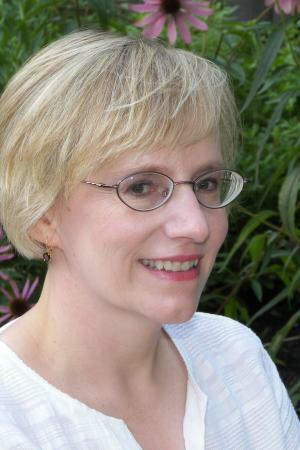 Elizabeth Shores is available for customized workshops and keynote presentations.